For a limited time, mymimi is offering the sweetest little Natural Wooden Lambi Trays — perfect for afternoon snacks or an evening treat of organic milk and cookies. The natural wooden trays feature adorable little lambi animals all in a row, illustrated by mymimi. Each wooden mymimi tray is carefully molded and pressed in Sweden with Birch Veneer Wood from sustainable Scandinavian Forests. The tray also features a protective coating to minimize spill damage and is dishwasher safe. No matter what you serve up, your child will be utterly delighted with this sweet design. 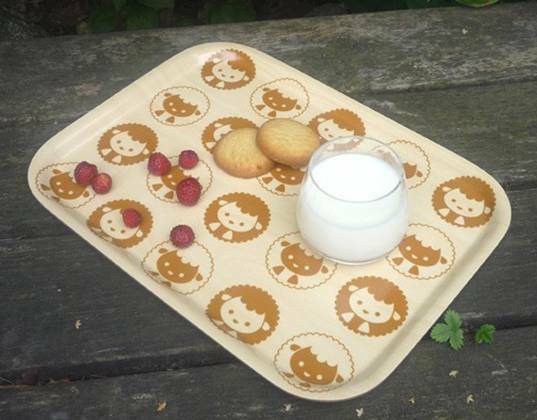 For a limited time, mymimi is offering the sweetest little Natural Wooden Lambi Trays -- perfect for afternoon snacks or an evening treat of organic milk and cookies. 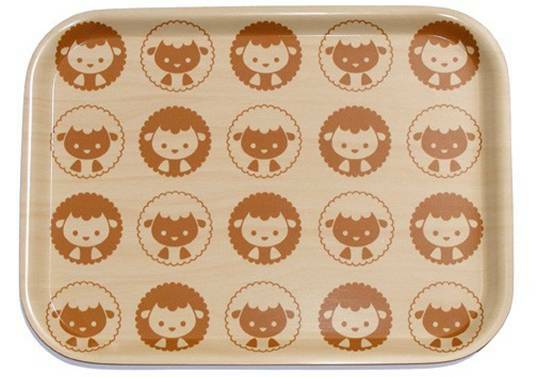 The natural wooden trays feature adorable little lambi animals all in a row, illustrated by mymimi. Each wooden mymimi tray is carefully molded and pressed in Sweden with Birch Veneer Wood from sustainable Scandinavian Forests. The tray also features a protective coating to minimize spill damage and is dishwasher safe. No matter what you serve up, your child will be utterly delighted with this sweet design.